Pentax DSLR owners have had to wait what seems like a lifetime for a full-frame camera, but thankfully the new K-1 doesn't disappoint. Building on its well-established APS-C and medium-format models, Pentax have delivered an amazing first-generation full-format DSLR that undercuts its main competition in terms of price whilst out-performing them in terms of innovation, features and even image quality. The Pentax K-1 is simply the most full-featured prosumer DSLR camera on the market at its price-point, delivering great performance, weather-resistant build quality, slick handling and excellent image quality yet somehow costing several hundred pounds/dollars less than the Nikon/Canon/Sony equivalent. Although mostly limited to static subjects, the Pixel Shift Resolution technology produces noticeably better image quality, so we'd recommend that you use it if the subject allows, while the improved 5-stop image stabilisation system, built-in GPS and wi-fi, and the unusual tilting screen are also great additions. The lack of a pop-up flash is slightly annoying if you ever use it for remote triggering, while the new Smart Function interface has reduced the size of the top-panel LCD screen, but overall you'd struggle to find a more well-rounded full-frame DSLR camera than the new K-1. After many years of waiting, the Pentax K-1 is a genuine competitor to the other full-frame brands, especially as Pentax have also begun to expand their range of professional full-frame lenses to go with the new body. 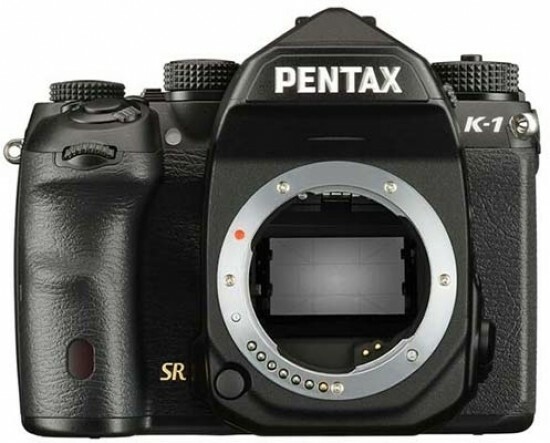 If you're interested in full-frame and you haven't yet made a serious investment in one particular brand, then the new Pentax K-1 should definitely be on your shopping short-list.